I read this article and found it very interesting, thought it might be something for you. The article is called Grief, Growth & Giving Back and is located at https://www.medalofphilanthropy.org/grief-growth-giving-back/. Losing one parent, especially when young, is an enormous loss. Losing both can be unthinkable. After Auston Scancara (15) and Melessa Peck (9) lost their parents Lindsey and Shane to separate incidents earlier this year they spent a lot of time discussing grief, growth, and giving back with their Aunt, and now guardian, Lacy Parker. Auston and Melessa channeled their grief toward helping other children learn to cope with the loss of a parent. 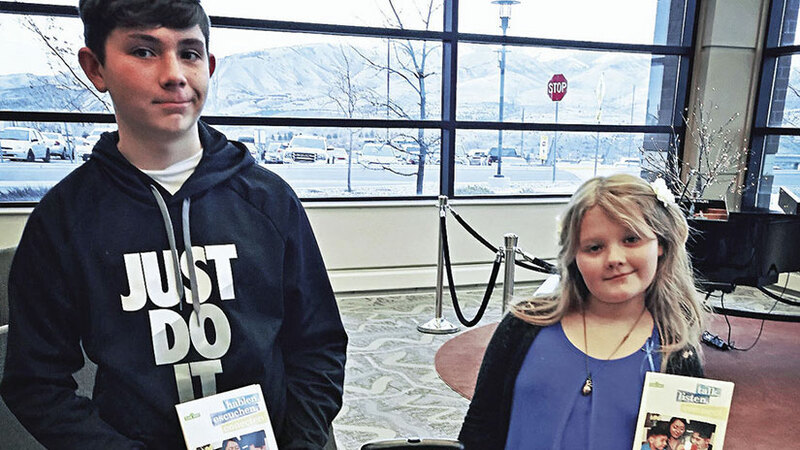 In November, Auston and Melessa donated approximately 150 grief kits to Portneuf Medical Center in Pocatello, Idaho. These kits, designed as part of Sesame Workshop’s “When Families Grieve” initiative, are meant to help families, children, and caregivers express themselves after loss. After losing their parents, Auston and Melessa received help and support from friends, family, local community centers, and religious organizations. The unbelievable show of support inspired them to help others with their grief while still overcoming their own and giving them a chance to “pay forward some of the support they received,” said their Aunt, Lacy Parker. At such an early stage in their lives, Auston and Melessa’s dedication to guiding other children, despite their own enormous personal loss, is beyond admirable.